Robert celebrates a birthday with gusto. Robert was always taking photos or filming at events. Robert knew Christo's Gates exhibit in Central Park was a once in a lifetime event - hence the Christmas card photo. A gathering of the Williamson, Robertson, and Bacon clan at Figure 8. Robert with some participants in "The Southern Cup." 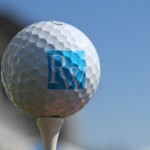 Check back for information on an upcoming golf tournament in Robert's honor. The B. Robert Williamson, Jr. Foundation was established in 2012 in memory of Robert Williamson - "RW" - to honor his vitality, insatiable curiosity, and passion for life. In order to embody Robert's optimism for life, the Foundation will provide financial support in the form of charitable contributions to non-profit organizations that primarily focus on the education and empowerment of young people. The B. Robert Williamson Jr. Foundation is a private foundation established in 2012 with a lead gift by Chilton Investment founder, Richard L. Chilton, and his wife Maureen, in memory of their dear friend, Robert Williamson. The foundation is in its 5th year. Its objective is to leverage grants by partnering with proven grantees and aligned funders. It seeks measurable outcomes in either the intermediate or longer term. The B. Robert Williamson Foundation currently targets grants in the areas of education and empowerment of youth, principally in New York City. As opportunities emerge, the foundation will provide grants in other areas of interest. The seventh annual Charity Golf Classic will be held on Friday, September 13th. Click the link below to see pictures of our past events! I hope you will help me keep Robert's spirit alive by supporting the foundation.